Calling all party-goers and anyone who is ready to have a good time! 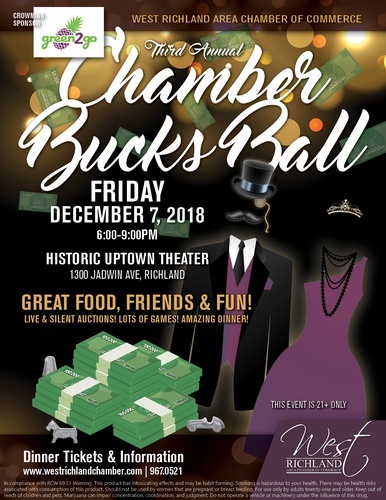 Gather together all those Chamber Bucks you earned all year long, and bid against your friends/co-workers/competition and win some amazing gifts! This year we're combining parties with the Awards Ceremony! Click here for the nomination form and the sponsor opportunities. Come to cheer on some of the most incredible people! Bring unwrapped new toys and food canned goods for dozens of local families that need our help for a bright Holidays. Bid on silent auction items whose proceeds go directly to the purchase of other gifts for the families. Want to be a sponsor for your business’s visibility?